Talatavolonondry is a commune in Madagascar, the largest in the district of Antananarivo Avaradrano. Until a few years ago, it could also be distinguished from the other communes in Antananarivo by its complete lack of healthcare facilities. Since the main road was repaired in 1993, there had been a steady influx of people into the area. Drawn by the comparatively low cost of living, the population swelled but remained entrenched in extreme poverty. In response to the growing population, the mayor of the commune looked for funds to build a small hospital but for years enjoyed no success. It was at this point that JLA, as a speaker bureau, became a part of plans to drastically improve conditions for the local community. 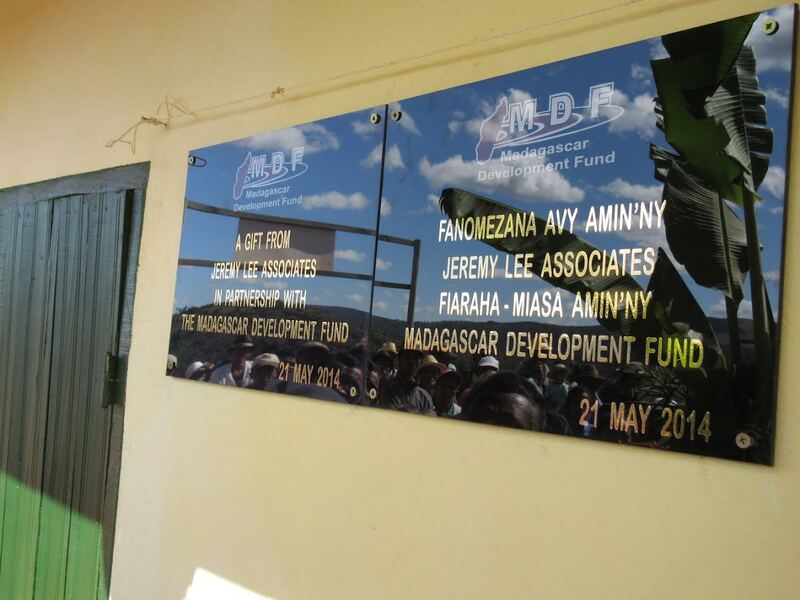 Through The Kitchen Table Charities Trust, founded by John Humphrys, JLA was put in touch with the Madagascar Development Fund (MDF). 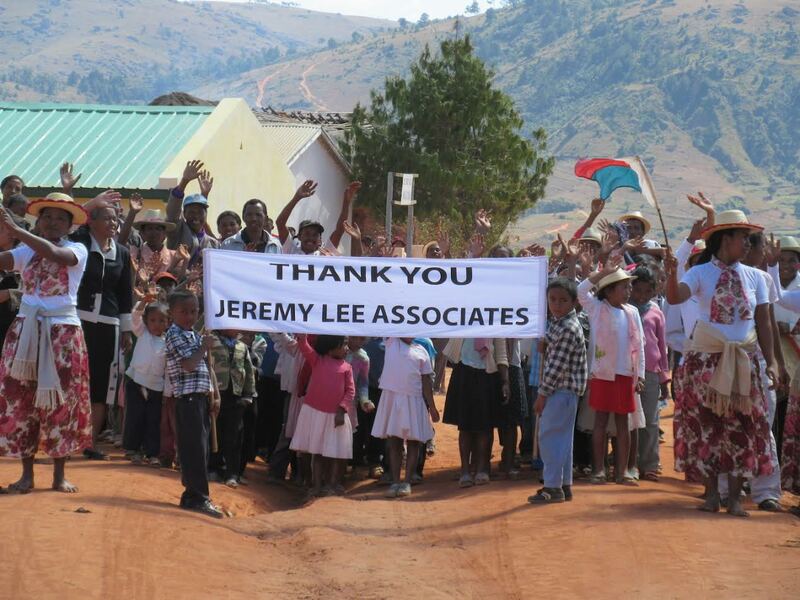 This small charity had big ambitions. All it needed was the funding. As a speaker bureau with a wealth of contacts at our fingertips, JLA turned to speakers and presenters to help raise money. A huge success was the JLA charity auction, for which celebrity speakers made available once-in-a-lifetime experiences to the highest bidders. Prizes included tea for two at the House of Commons, the chance to play tennis on centre court, and an invitation to a private audience at the This Week studio. Generous bidders dug deep, and the money raised enabled the construction of a medical centre and the provision of furniture and equipment. The centre was inaugurated on 14 December 2012, and residents of Talatavolonondry no longer have to face a 13 kilometer journey on foot to receive medical care. Happily, JLA recently had a further opportunity to get involved with the MDF. 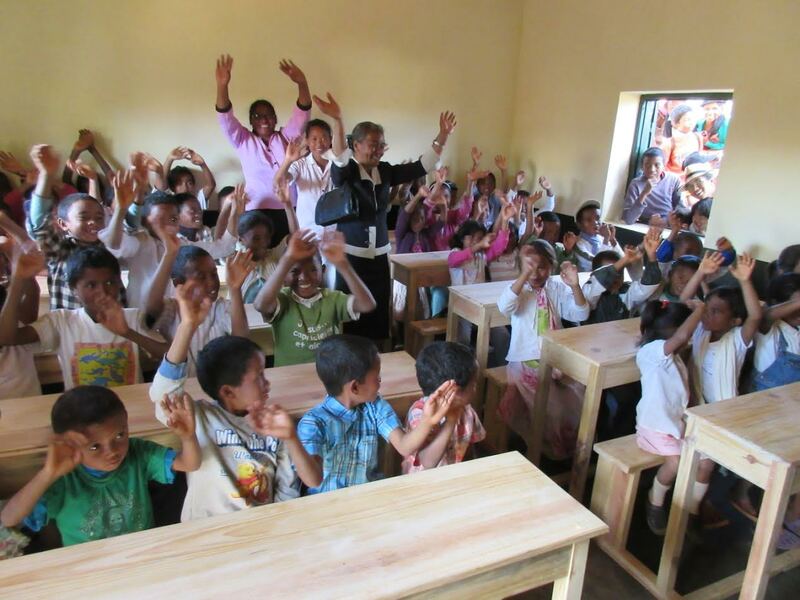 On Monday 21 May 2014, in the presence of the Mayor of Talatavolodrony, the village head, the head teacher, her colleagues and all 126 pupils, the JLA financed primary school project was inaugurated. The celebrations were covered by the national television station, TVM, and the pictures taken show the joyful crowd of parents and pupils. With the assistance of JLA, the school could finally be completed, allowing 40 more children from the area to enjoy a proper education. As a speaker bureau, we are part of an exciting, sometimes even glamorous, industry, so it is a rare and rewarding opportunity to be able to lend our expertise to help those who suffer circumstances so wildly different from our own. Many thanks to all those who provided donations and got involved in raising funds to enable a speaker bureau in London to put its influence to such wonderful use so many miles away.